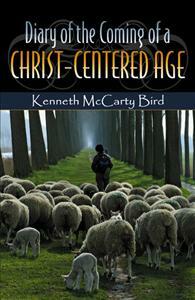 Diary of the Coming of a Christ-Centered Age was written to exhort, challenge, educate and inspire. It has a unique style, and it is relevant as a study guide in prophecy, devotional, a research text, or group study. This book's theme is on Jesus, the Christ; and what He has done through His life, death and resurrection to set mankind on the right path to the kingdom of heaven. This book has fourteen chapters, with each chapter preceded by a relevant Bible verse, as well as a quote. Some chapters were written around the autumn of the year 2005, for which chapters on Thanksgiving and Christmas allow for a relevant discussion on who Jesus was, and what He taught. Each chapter ends with questions for reflection or group study, as well as a sample prayer.